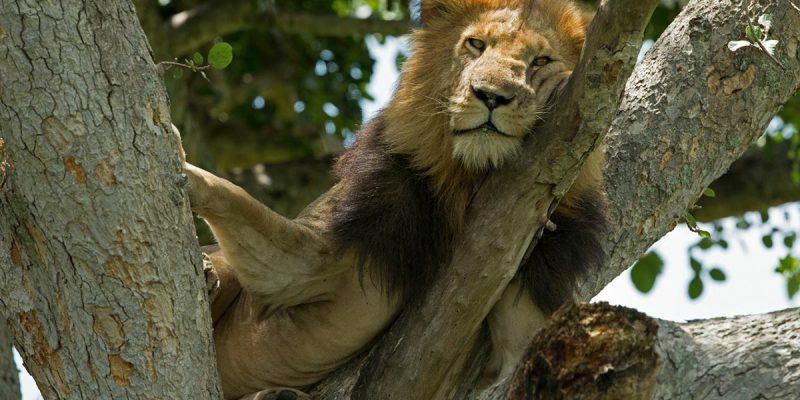 This 3 Days Queen Elizabeth Safari will take you through Queen Elizabeth National Park, with a variety of different species of mammals and birds and the famous Kazinga channel for boat cruising. Queen Elizabeth National Park is definitely among the world’s most bio diversified wildlife sanctuary featuring Leopards, Chimpanzees, Hippos, African Elephants and Cape Buffaloes not forgetting the beautiful launch cruise along Kazinga channel will make your safari memorable! Queen Elizabeth National Park is understandably Uganda’s most popular tourist destination. The parks diverse ecosystems, which include sprawling savanna, shady, humid forests, sparkling lakes and fertile wetlands, make it the ideal habitat for classic big game ten primate species including chimpanzees and over600 species of birds. Day 2: Sunrise Game Drive and Boat Cruise on Kazinga Channel. Early morning pick up from Kampala to start the Queen Elizabeth Safari. We drive through the city before a brief stop by the Uganda Equator to take pictures or shop for a souvenir. After lunch in Mbarara, the safari heads into the East African Rift valley before arriving in Queen Elizabeth National park. After an evening game viewing safari around the Leopard Loop and channel tracks, transfer to your accommodations for dinner and overnight. A morning wake up call for an an early morning cup of tea/coffee with pastries. Our Queen Elizabeth Safari morning starts around 6:30am. We depart for a sunrise game drive on the northerly parts of the park along the Kasenyi track. It is at this time that the Big Cats are active on their daily hunts. We will drive around the crater Lakes in search of Leopard, Lion, Hyena, Uganda Kob and other wildlife. Later, return for breakfast and relax by the pool. In the afternoon, take a boat cruise on the Kazinga for solitary Buffalo, Hippo and other animals at the edge of the channel as they cool off. European migrant birds like the terns and gulls congregate here in large flocks. After a relaxed breakfast, the Queen Elizabeth Safari ends with a transfer back to Kampala or Entebbe arriving in the early afternoon, for your flight back home.